In this guide we’ll teach you how to schedule a productive meeting as a business owner. Many people screw this up. We’ll teach you five amazing tips that the experts recommend to keep schedule and keep a productive meeting. It’s a sentence to strike fear into the heart of any industrious employee. They know that for the next half an hour, or hour, or entire afternoon, they’re going to be away from their desks and listening instead to other people talking. They won’t be working on their project or battling to meet their deadline or closing the deal they’ve been chasing for months. They’ll be staring out the window while someone else drones on. That’s the fear… and it’s not entirely misplaced. Studies have found that 15 percent of an organization’s time is lost to meetings, with senior managers spending as much as half their work hours sitting around a table listening to updates and making plans. The US holds around 25 million meetings every day, taking up hours and funds that could be better spent elsewhere. One estimate has put the cost of unproductive meetings at more than $37 billion per year with executives dismissing over two-thirds of their meetings as unproductive. It shouldn’t happen. Businesses need to hold meetings. They need to bring people together, listen to everyone’s voice and share information. They need to generate new ideas and mine the innovation of their workforces. They need to make sure that when decisions are made, everyone understands why those decisions were made and where the company is moving. That can only happen in the meeting room. But those meetings need to be held properly. It’s just too easy when you put a bunch of people in a room for a discussion to meander in a range of different directions. Arguments focus on points of little relevance and the meeting bogs down, participants turn off and start checking their phones, missing important topics as they come up. In this guide, we’re going to explain how to plan meetings that work, that get results and that don’t waste time. We’ll start by making sure that you only hold meetings when they’re absolutely necessary. You can’t eliminate every meeting from a business, but you can cut out many of them, reserving meeting time only for the most important gatherings. We’ll then talk about the agenda. One vital way to make sure that the meeting stays on point is to make sure that everyone knows exactly what the meeting will be about. They’ll know what to prepare and they’ll come to the meeting with ideas already in their head and ready to be shared. We’ll explain how to do it. We’ll then make a quick dive into the meeting itself. All sorts of strategies can keep a meeting short and to the point. We won’t review all of them in this guide but we will look at the actions that are most likely to waste a meeting’s time. We’ll look at where meetings go wrong and what you can do to keep your meeting on track. Meetings are an essential part of business life. They’re where decisions are made and staff brought together. But they’re also where valuable time is wasted. This guide will help you to make better use of the meetings at your business, allowing you to save time and money. The best way to make meeting time more productive is not to use that time for meetings. Keep people at their desks doing the work that they’re paid to do—and that they enjoy doing—and you’ll get much better results. Projects will be completed faster. Staff will be happier. Work will actually get done. That’s the theory behind the raft of productivity tools that have launched over the decade or so. The more discussions that can be moved out of meeting rooms and onto the screens where people are sitting anyway, the less need there will be to pull them away from their keyboards and out of their work. None of those tools is perfect. Each has advantages and disadvantages. None of them can replace a meeting entirely when a meeting just has to be held. But they can be used to eliminate many meetings, especially the regular status updates that cost so much time on a Monday morning. One of the most popular meeting alternatives is Slack. Created by Stewart Butterfield, the founder of photo-sharing site Flickr, the messaging platform reached six million daily users in September 2017 and is used by 43 of America’s hundred biggest companies. Slack’s strength is in ongoing communications. When team members are scattered around an office building, or in different buildings, bringing them together can be time-consuming. Slack allows those team members to chat in dedicated groups and share documents. It’s like WhatsApp for businesses or a private company Facebook page, a free option that a number of virtual companies use to keep scattered teams together. Where Slack really comes into its own is managing joint projects with other companies. A design firm working with a client, for example, can use Slack to stay in touch with staff at the client company to offer color choices and gain feedback without having to trek down to the client’s office. Slack has tried to make that even easier by building channels to which companies can add and remove partners. While Slack is strong at replacing the kind of quick exchange of information that people might share if they met around the water cooler, it’s weaker at holding long discussions that explore a topic in depth. Any time you’re communicating with your fingers and a keyboard instead or your voice, the exchange needs to be kept short and to the point. Slack tries to meet the need for more detailed discussions with teleconferencing, a method in which other companies, including Skype and GotoMeeting, specialize. Teleconferencing is a step up from Slack’s messaging. It allows for longer discussions and gives participants space to explain a point as they would in a meeting. The ability to see multiple participants at the same time in different windows makes the discussion more realistic. Some high tech meeting rooms can digitally bring distant participants into a meeting room. But virtual meetings never have the same kind of dynamism as meetings held in person. Participants can’t make eye contact when they’re talking to a lens and much of the body language that communicates so much of what a speaker is thinking is lost when only the head and shoulders are broadcast across the Internet. Teleconferencing works for quick meetings, especially between two participants at a distance. It’s the closest alternative to a meeting when the participants just can’t come together. But there are few clearer ways to feel the benefits that occasional real-life meetings can bring than to attempt to hold a discussion and come to a decision during a teleconference. Sometimes, though, you don’t even need a discussion. If you need to discuss a document, an image or a proposal, skipping the meeting entirely might bring resolution faster. Upload the file to a document-sharing service like Google Drive and invite other team members to make their comments. Tell them exactly when you need the comments by to make sure it’s read, then decide which comments you want to keep and which to reject. You’ll still be talking with your fingers so the discussion will be kept short, but because typing responses can be irritating, and long comments are difficult to read, document-sharing keeps ideas and corrections to the point. To replace regular status meetings, use a messaging system like Slack or even a Facebook group to keep up to date. To cut back on proposal and document discussions, upload the material and invite brief comments posted in the commenters’ own time. To save travel time for scattered team members, make do with teleconferencing for quick planning. But while those tools are valuable and can save hours that would otherwise be wasted in a meeting room, they don’t eliminate the need for every meeting. There are times when only a face-to-face meeting will do. The most important time to hold a meeting is when a decision needs to be made, the decision-maker doesn’t have all the information they need—and that information is held by more than one person. When a number of people need to provide input and especially when the input from one affects the input from another, discussions need to be held in person. A designer might need to know whether the coding team can create the product she has in mind and what sort of costs her design imposes. The marketing team will have access to user data that tells both of them whether the design is likely to engage. The CEO will need to understand how long the design will take to implement and how much it will cost. She’ll need to hear from everyone before she can make a decision. While that discussion can be held over a messaging platform, a conversation will reach the decision point much faster. Sometimes, a meeting is needed to air new ideas. Companies need fresh thoughts and creative solutions to the problems and challenges that they meet. The idea for Twitter was presented not at a pitch session at a start-up but in a park where the members of a podcast company were wondering what they could do after their first idea didn’t take off. Sometimes , you need an open conversation to pull out interesting new concepts and hold a free-ranging discussion. You also need to come together in person when you have to create relationships that only the human touch can forge. It’s possible to send a presentation to potential investors and invite them to read it, but those investors will want to meet the people they’re giving money to. They’ll want to ask them questions and gain an understanding of who they are. For all the benefits that the revolution in communications has brought, the strongest relationships are always built on real contact, whether that happens at a conference or in a meeting room. That’s particularly true at companies when important news needs to be shared. Big businesses have to make do with sending a memo to all staff when the company is about to undergo a merger or launch a major new product. But at small companies, bringing everyone together enhances the team spirit. It lets everyone feel that they’re part of the decision-making process and that their voices are being heard. It’s a vital part of the of the long-term success of any business. Is a meeting necessary or can we exchange the same information in a different way? What benefits does a meeting bring that messaging or calling can’t supply? How long will the meeting take, and what can we do to reduce the time? Is the time the meeting will take worth the benefits the meeting will bring? There will be times when you ask yourself those questions and come to the conclusion that actually, you can’t just dial up Skype or send an email to everyone, saving your company a good dozen collective hours of work time. But there will also be times when you realize that actually the meeting is necessary, that the information can’t be shared in any other way, and that meeting everyone in person will deliver real relationship benefits. At that point, you still need to make sure that the meeting is as efficient and professional as possible. That starts with the agenda. The problem with meetings isn’t that they’re necessary. It’s that when they are necessary, they’re held poorly. Instead of being a forum in which different sets of information held by various team members is pooled, problems identified and decisions made, too often they become rambling discussions that veer off the point. Rarely is all the relevant information identified and shared. Too often, some participants feel unable to voice their opinions or are left unheard. Time, despite being lost and dragged out, often ends before the decision-maker feels that enough headway has been made. And a decision, when it is made, is too often the result of opponents being ground down rather than listened to and engaged. The only thing worse than a meeting that wastes a company’s time, is a meeting that leads to bad decisions. Avoiding those meetings starts before the meeting even takes place. It begins with preparation. Creating an agenda for a company meeting might sound unnecessary (after all, everyone knows everyone, and not all meetings are board meetings) but it can help for even the most regular of business get-togethers. Start by choosing the attendees carefully. The more people who attend a meeting, the longer the meeting will take. There are more voices to be heard, more comments to sift through, fewer contributions from the people who matter most and the longer discussion will be filled with less relevant statements. Only invite to a meeting the people who really need to be there. That might mean leaving some important people out in the cold. That’s fine. 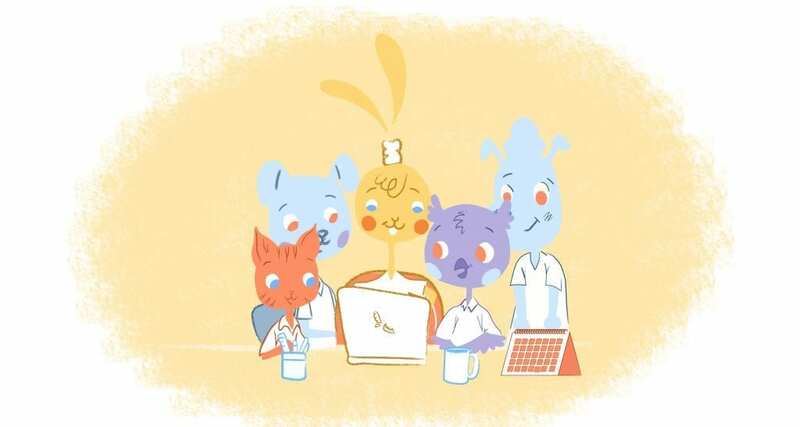 If a start-up is considering making a change to the product, it would be better to hold the meeting about the changes with the department heads, and for those heads to then inform their team members. All the members of all teams might need to know what’s about to happen, but they don’t all need to be in the meeting when it’s discussed. The problem with leaving people out in order to make a meeting more streamlined is that some people are left feeling that their voices don’t count. One way to make sure that everyone feels heard while still keeping the meeting organized is to reach out to those participants and ask them what issues they want discussed. You can do the reaching out through the company’s messaging system. When you tell the participants that there will be a meeting and what the meeting will be about, you can also ask them to suggest agenda items and send them in by a set time. Ask them in particular to talk to their team members about the meeting and find out whether anyone else has topics that they think need to be raised. Meeting participants can be the delegates of their departments. You might not be able to invite everyone to a meeting but if everyone feels that they’re represented, and that they have a way to get their concerns into the room, they’ll all feel that they have a voice. Clearly, you won’t be able to accept every issue that everyone raises; the meeting would last forever. 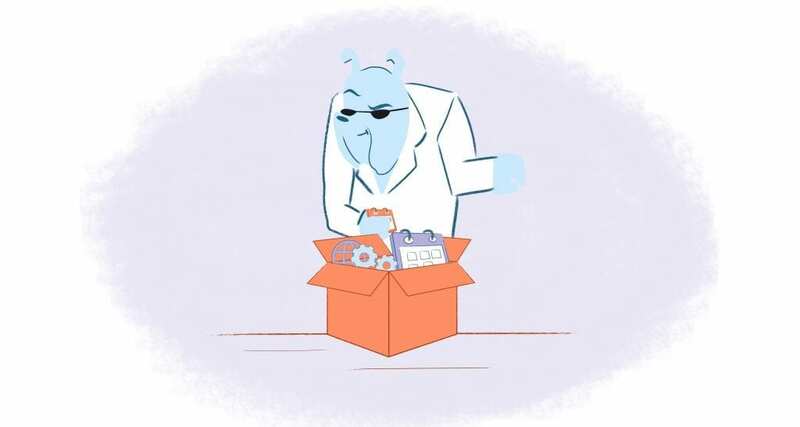 So once you’ve received all the suggestions, make sure that the anyone whose suggested topics aren’t raised understands the reasons for the rejection. That doesn’t have to be done in a formal way. You can mention it next time you see them at the coffee machine or you can just poke your head around their office door or you can shoot them a quick note on the messaging app. Thank them for their contribution and explain why you won’t be able to discuss it in this meeting. You’ll be able to collect ideas and issues from everyone at the company. You’ll have the information you need to create a well-planned agenda. And you’ll also allow everyone to feel that they have a way of making the company address their concerns. The next step in planning a meeting may well be the hardest. You have to find a time that everyone can make. That’s not as easy as it sounds. When executives are spending as much as 50 percent of their time in meeting rooms, each participant has just a fifty-fifty chance of being available at the time you might want to choose. 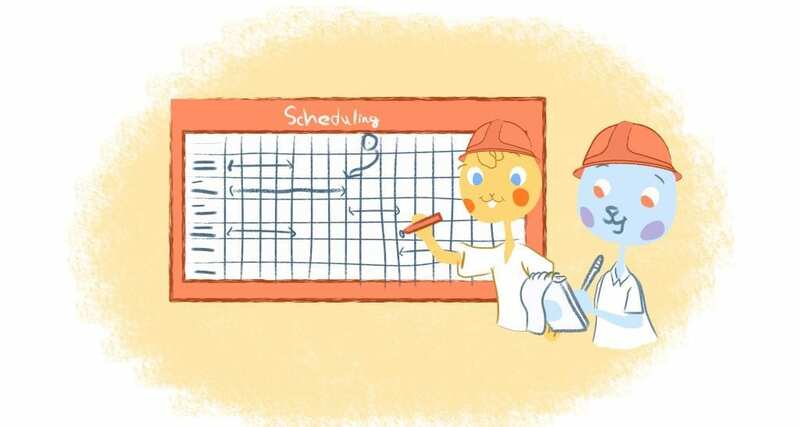 In an earlier guide, we looked at how the process of choosing a meeting time might well become easier. Smart calendars allow planners to automatically find open spots in everyone’s calendars and to block off those times that are available to all. You might even be able to pick optimal moments when participants are most likely to be alert and open to discussion. Until then though, you can make do with using the company calendar. When everyone is using the same company calendar and the person responsible for booking the meeting has access to that calendar, they should be able to see when the participants are available. That will mean ensuring that everyone is using the same calendar system though. It will need to be internal and secure, and it will need the kind of privacy settings that allow only those who need access to see where everyone is and when they’re available. That might sound hard but it’s a lot easier than shooting out emails to everyone who needs to be at the meeting asking when they’re available or setting a time only to find the Head of Sales can’t come because he’s pitching a major client and the designer can’t make it because she’s on vacation that day. A good company calendar can save as much time spent scheduling a meeting as a good agenda will save in it. But you will still need a good agenda and that means more than just listing topics for participants to address. Too often, agendas are written in a kind of shorthand that consists only of a title and the names of participants. Without more guidance, those brief agenda entries only create broad conversations rather than focused discussion. Title an agenda entry “New marketing plan,” for example, and participants would have no idea which direction the meeting will take. Add a subtitle framed as a question — “Should we focus on business customers or shift to consumers?” — and you won’t just tell people what that part of the meeting will be about. You’ll also get people thinking about answers. When they take their seats at the meeting, they’ll already have ideas. They’ll also have arguments that can support their ideas. This kind of preparation makes a crucial difference not just to the length of the meeting but to its quality. A company meeting isn’t a place where people should be doing their thinking for the first time. They can’t research in a company meeting. They don’t have the time to consider problems and objections to their ideas during the meeting, so some won’t speak in case they say something that will sound silly. Others will speak anyway then try to defend an indefensible argument. The best ideas might only come after the meeting has ended without an agreement, and once everyone has had more time to think about the issues. Participants should arrive at a meeting already armed with ideas and the arguments to support them. It’s the only way to make sure that the meeting makes the best use of the time available to it. Framing agenda items as questions has a second benefit too: it puts a great deal of power in the hands of the meeting organizer. The person who writes the agenda question gets to direct the conversation. An open-ended title allows discussion to range wherever the participants take it. A question that offers two choices limits the discussion to just those two options. It already cuts out the digressions that can waste a meeting’s time. Make sure the person who will frame the agenda is the person who is leading the meeting. It should be their first—and most important—action as meeting leader. Adding a question to the topic will help to produce answers but at some point, someone will need to make a decision. The agenda should also indicate how that decision will be made. It could be made through consensus, by a majority, or by the choice of the meeting’s leader—but the participants should know where their contributions will lead. Adding another line to the agenda that explains how that part of the meeting will end reminds participants that the will exert real influence in the meeting and it assures them that they won’t be wasting their time. It will encourage them to bring sharper arguments and to argue harder for their positions. Finally, each agenda item should have its own time allocation. That’s always going to be an estimate. If a discussion is going well and raising great ideas, then you might well want to keep it going beyond its time limit. But telling people in advance that discussion of a particular question will be limited to a set number of minutes reassures them that they won’t be stuck in the meeting room all afternoon. It also makes sure that they stay on point instead of feeling free to ramble, and most importantly, it gives the meeting leader an excuse to intervene. If someone is taking up too much of the floor, the leader can cut them off by explaining they only have a few minutes. It’s a simple method that brings much greater discipline to the meeting. You’d produce a similar line for each item you want to discuss in the meeting, ensuring that it has discipline and order. Creating a smart agenda for a meeting and making sure that everyone comes with ideas in their head and time limits that they’re aware of will help to keep the meeting short and to the point. Except when it doesn’t. Because sometimes even the best-planned meeting can go off-piste. Instead of focusing on the agenda items, answering the questions and reaching a resolution, the meetings wander, fail to cover the issues properly and end without resolution. When that happens, there are usually a small number of common reasons—and each has its own solution. In one workplace survey, 92 percent of respondents said that they had multitasked during a company meeting. Sixty-nine percent said that they had checked email during a meeting and just under half admitted doing other unrelated work when they should have been listening, noting and contributing. It’s a problem that sounds impossible to beat. Even if phones are turned to silent during a meeting, they can still vibrate and pop out notifications. That’s enough to tempt someone to have a quick glance and shoot out a rapid response to a text message, especially when it’s work-related. There are two solutions—and both begin with the instruction to turn phones off and put them away during a meeting. One option is to then prise the phone’s out of everyone’s grasp, or at least have them deposit their devices in a container as they come into the meeting room. But few people would look on that request kindly. It’s the sort of demand that, unless you’re holding the meeting in the White House Situation Room, might just cause offence. The second option is to keep people in the meeting down to a number in which anyone using their phone would be noticed. If you have twenty people in the room, then one surreptitiously texting could go unnoticed. If you have just four or five people in the room, it’s hard to escape. Good manners should be enough to keep fingers away from screens while someone else is talking and a light reprimand if it’s not enough will feel more friendly than shameful. It’s another good reason to be careful with the number of people in the meeting room: the more participants, the greater the distractions. A meeting might cover a number of agenda topics but not all of those topics will be relevant to everyone in the room. 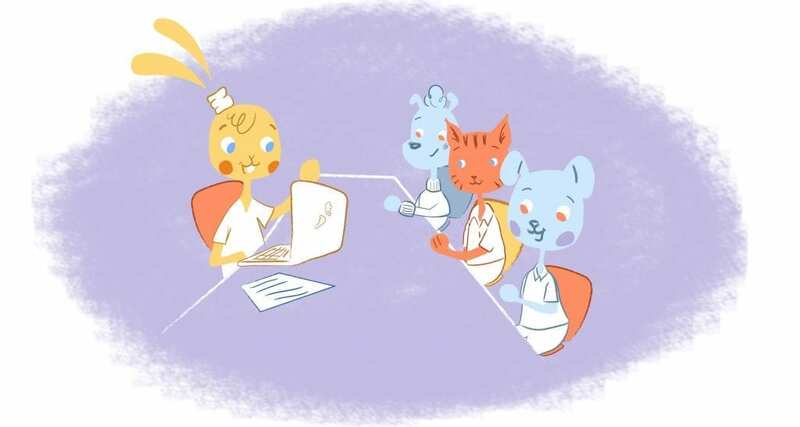 If meetings are more efficient when they’re as small as possible, then one way to avoid time-wasting is to only retain the relevant people at the relevant times. Make the first agenda items topics that concern everyone, then shed people as the meeting continues. If the sales guy is needed for the design discussion but not for the coding topic let him get back to work while the rest of the team focus on the other agenda times. You should find that the meeting becomes more efficient as it continues. A good meeting is one in which information is exchanged and people leave more knowledgeable than they came in. A great meeting ends with that information turned into a plan for action with responsibilities clearly allocated and deadlines set. Everyone should head back to their desks ready to get to work. So participants should be taking notes. As the meeting continues they should be scribbling away but if they’re spending too much time writing, they’re not spending enough time talking, thinking and contributing. If you see that at least some of the participants are more focused on their notepads and are spending more time absorbing information than sharing it, then take a break. Tell everyone to put away their notepads and just talk for a while, or bring in an assistant to make notes, type them up and share them with everyone afterwards. The meeting will be more effective when one person is taking notes and everyone else has the space to talk. Few things can strike horror deeper into the hearts of business executives than news that a meeting will take place… and will include a Powerpoint presentation. Too often, it’s the ultimate waste of time. Creating good Powerpoint presentations is hard, and few people get it right. Too often, they stuff each slide with a giant amount of information so that audiences read instead of listen. And once they’ve finished reading they stop listening even as the presenter continues reading aloud from the slide information that everyone already knows. They’re often poorly designed too, with images and pictures that amuse and distract instead of inform and engage. If you have to use a Powerpoint presentation, strip out everything you don’t need. Focus on the most important elements and use it to structure your presentation instead of replacing it. And make sure that the computer and the screen work. Powerpoint and other audio-visual devices might run the risk of being dull, but even less interesting is having to wait half an hour for the tech guy to arrive and play with the ports. In an ideal meeting, none of these things would happen. No one would touch their phones during a meeting. Gatherings would only include the people who need to be there and they would only say the things that needed to be said. Someone would always take notes, type them up and be ready to distribute the notes within an hour or less of the meeting ending. And audio-visual aids would be rare, interesting and always work. But meetings don’t always work that way, so you have to be prepared to take action when they go wrong and put them right. Company meetings take time. The higher up a company, the more valuable an executive’s time becomes—and the more of it they spend in meetings. It’s inevitable. It’s also valuable because meetings are where things happen. They’re where decision-makers obtain the information they need to make their decisions. They’re where they get to consult with experts who can point out the flaws in plans, offer creative solutions and help to guide the company in the right direction. Planning a meeting correctly and managing it professionally may well be the most important skill a business leader needs to possess. It may also be the most overlooked. Everyone has experienced meetings that felt like they went nowhere. Everyone has noticed people with something valuable to contribute forced to sit in silence while the person with the biggest personality dominates the floor. Everyone has walked out of a meeting feeling that they just wasted their time. Every business has come to a decision in a meeting only to see that decision later prove to be an expensive mistake. Not all of those mistakes can be prevented but better meetings will always produce better results and better decisions. There are all sorts of strategies that business leaders can use to make their meetings more effective. In this guide we’ve looked at the most important. We’ve explained why many of the meetings that fill a business’s schedule are unnecessary and can be replaced by technology. We’ve discussed ways to keep the meeting small and efficient while still ensuring that everyone at the company feels that their voice is heard. Even at the highest level. And most importantly, we talked about writing a meeting agenda. The most effective way to make sure not just that the meeting stays on topic. All this while the participants arrive with solutions already in their heads and their arguments already formed. Finally, we discussed some of the reasons that even well-planned meetings can eat up time. From the distractions of mobile phones to the retention of unnecessary participants to audio-visual presentations that are poorly designed when they work and waste even more time when they don’t. Meetings are an essential part of any growing business. With a little careful planning, you can make sure that they’re time will spent.